The Bellevue Residence offers rooms and apartments (one, two and three-room, the latter being made up of a bedroom + two room apartment). 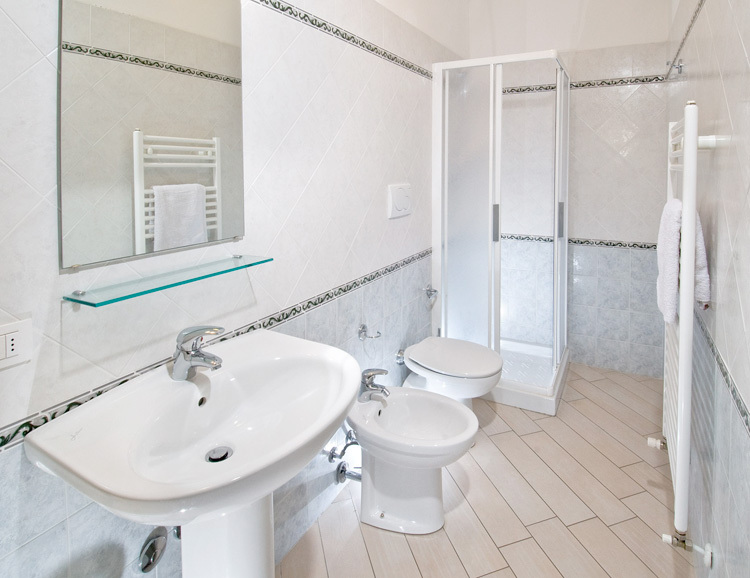 All are elegently furnished and feature (bathroom, kitchen, louge and bedroom). 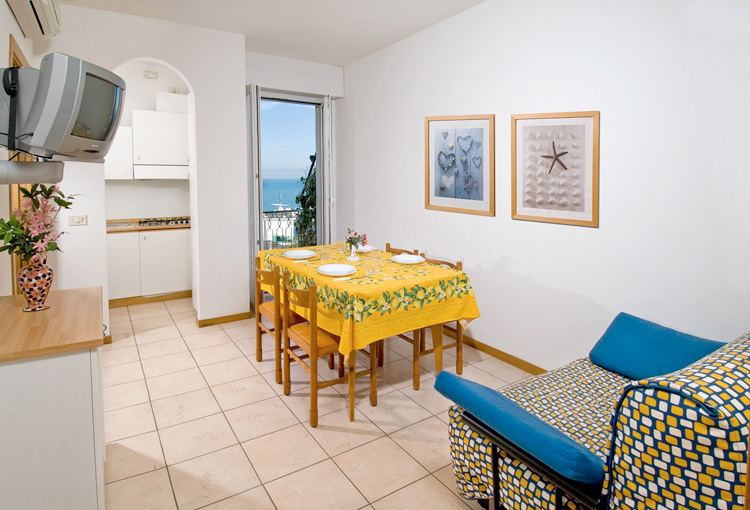 Lounge with single bed-settee, kitchenette, triple bedroom (double and single bed), bathroom and 2 balconies. 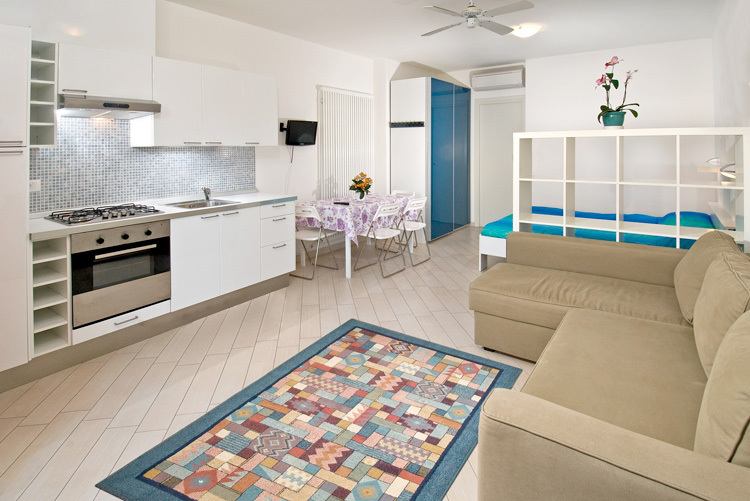 Lounge with double bed-settee, kitchenette, quadruple bedroom (double and bunk bad), bathroom, 2 balconies. 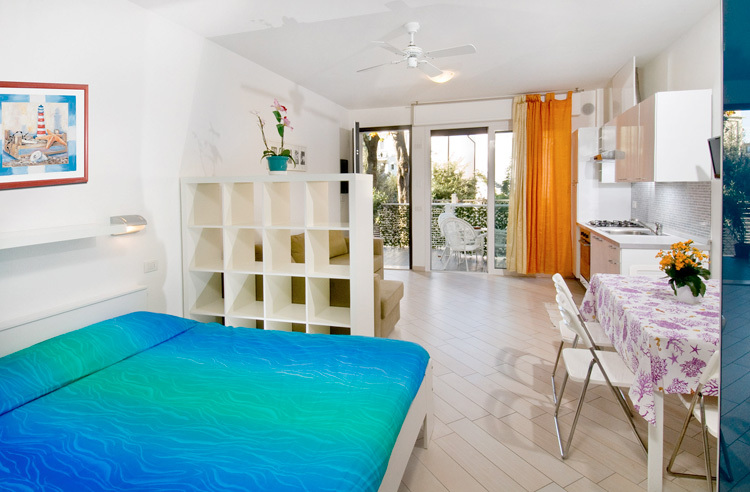 Lounge with bed-settee, quadruple bedroom (double and bunk bed), double bedroom (or triple), 2 bathrooms and 3 balconies. Daily price per room, minimum 2 nights, including breakfast at the bar. Use of bicycles with children's carrying and courtesy car. Departure: Saturday or Sunday before 10 a.m.